This is one of the fluffiest newcomers - a beautiful fluffy pink shrub, rescued from a life of unhappiness underneath a neighbour's hedge. It's been revitalised, and rehabilitated successfully in the Moosey Country Garden. 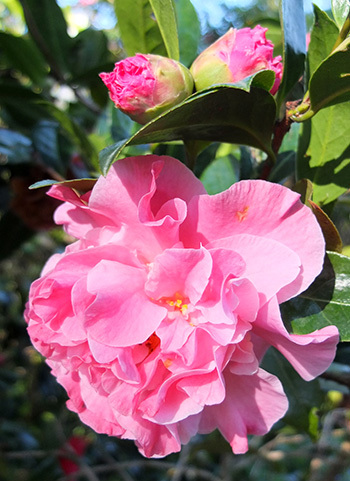 With respect to the Camellia time-table in my garden, Miss Fluffy No-Name Pink flowers late in the season, in October. This is late spring, down here in the southern hemisphere. 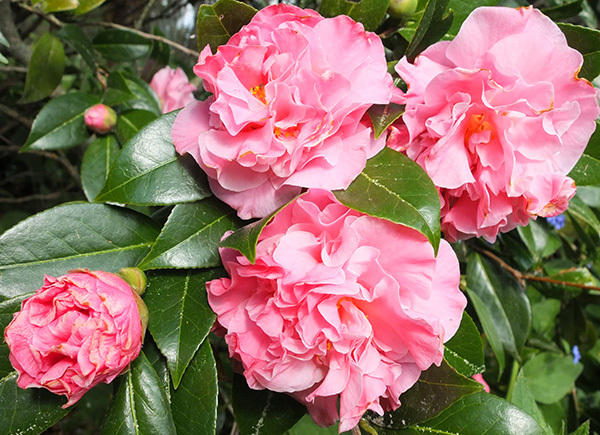 The next door Camellia is red and spiky, and both shrubs flower at exactly the same time. It possibly should worry me having these two colours together. But they are both growing so well, obviously enjoying the dappled shade and my nurturing (good food and water). 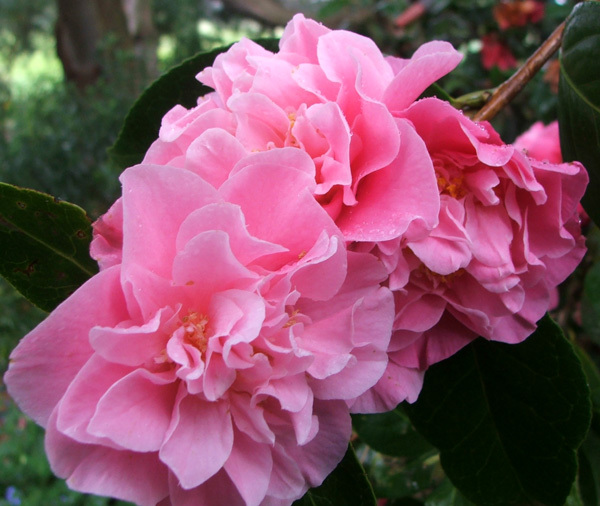 Please don't ask what the name of this Camellia is! None of my rescued plants came with labels on.